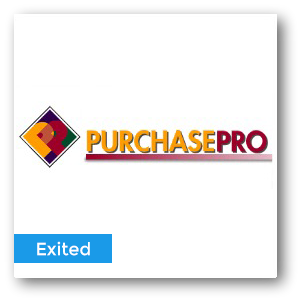 PurchasePro, one of the largest B2B e-commerce software companies in the world, was noted for flexible solutions that help businesses of all sizes buy, sell, and market better. PurchasePro also operated the Global Marketplace interconnecting more than 140,000 businesses and powering hundreds of private and public marketplaces with its highly scalable, hosted e-commerce software. PurchasePro’s customers compete more effectively with enhanced sales opportunities, reduced procurement costs, and increased employee productivity.